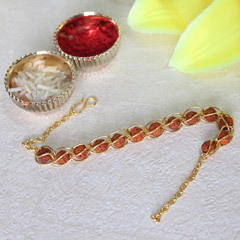 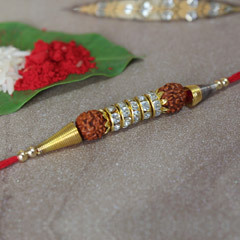 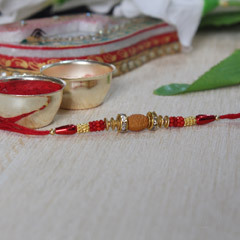 Tying of the sacred thread or auspicious rakhi around the wrist of brothers forms an inherent part of rakhi celebration. 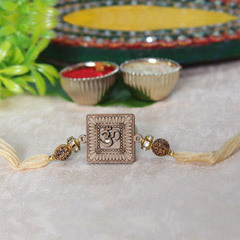 On this occasion, sisters pray for the long lives of their brothers and the brothers in turn pledge to protect their sisters. 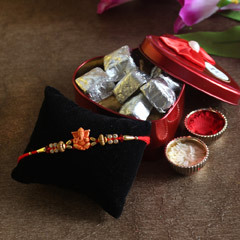 Exchange of gifts is a quintessential part of the rakhi celebration. 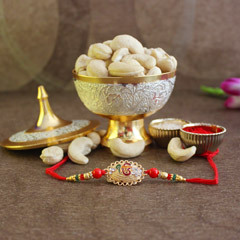 Find a wide range of auspicious rakhis such as designer, silver, Lumba, bracelet, mauli, zardosi, Rudraksha, handcrafted and kids rakhi at Sendrakhi.com. 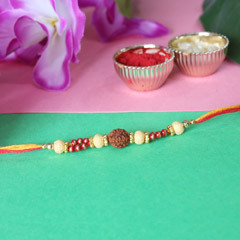 We have a partnership with efficient delivery service providers to help you to send rakhis to any part of the world and in many cities in India. 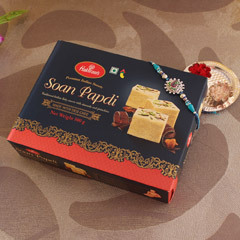 Choose from our auspicious rakhi hampers that include designer, pearl, zardosi and many other types of rakhis packed in combination with cashew nuts, almonds, raisins, Dairy milk or Ferrero Rocher chocolates or various types of Indian sweets such as kaju katli, soan papdi or gulab jamun. 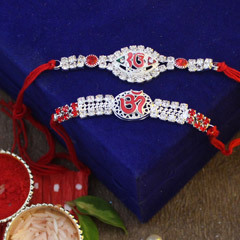 How to Send Rakhi to Your Brother in U.K? 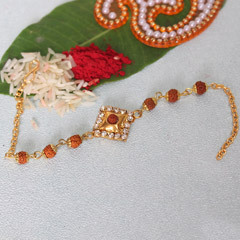 With the arrival of e-stores such as Sendrakhi.com, buying gifts for any occasion has become easy and convenient. 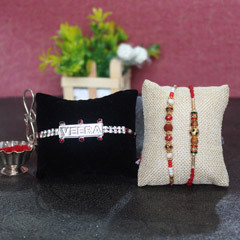 You can shop around the clock even during the odd hours from anywhere. 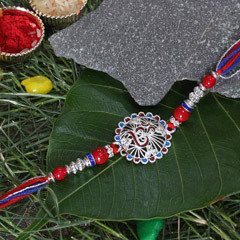 Moreover, you can avail a whole lot of benefits if you buy rakhi for your brother from our portal. 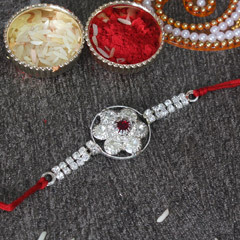 We, at Sendrakhi.com, offer lucrative deals and offers from time to time that can help you to save on your purchase. 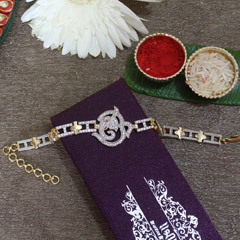 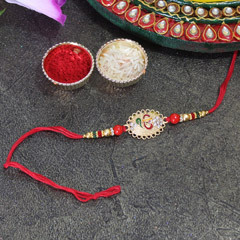 To send a rakhi through Sendrakhi.com, you need to create an account and just choose the items you wish to send and click on ‘buy now.’ Your brother would be delighted to see his rakhi gift at his doorstep. 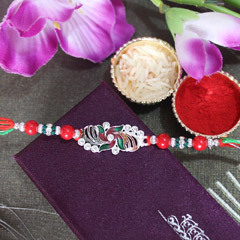 Send an auspicious rakhi to your brother or cousins in any part of the globe with the help of Sendrakhi.com. 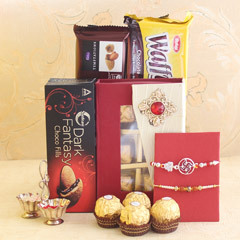 Sign up to keep note of our special discounts and deals and make use of our special offer such as free shipping. 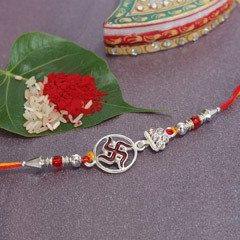 Sendrakhi.com has come a long way in last few years with its exceptionally helpful services. 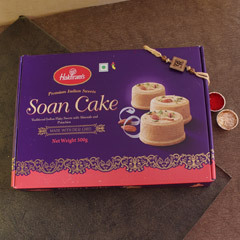 On the basis of the 1100 reviews from our esteemed customers, the support team has received a rating of 4.5 stars.